عندما تزور ملبورن, ستشعر أنك في بيتك في Footscray Motor Inn الذي يقدم لك إقامة متميزة و خدمات عظيمة. يحظى هذا الفندق ذو 4 نجمات بمكان ممتاز يسمح بالوصول إلى المعالم السياحية الأكبر في المدينة، فهو يبعد مسافة 6 Km عن صخب المدينة. يشكل هذا الفندق ملاذاَ مريحاً للاسترخاء ويمنح زواره فرصة للاستجمام والتجدد، وهو يقع على بعد خطوات من المعالم السياحية الكثيرة للمدينة كمثل: The Clinic Footscray, فوتسكري, فوتسكيري. تعكس غرف الفندق البالغ عددها 39 المنتشرة في 2 طوابق جواً من الدفء والألفة.خدمات عصرية مثل تلفزيون بشاشة مسطحة, اتصال لاسلكي بالإنترنت, حوض الاسترخاء, غرف لغير المدخنين, مكيف هواء موجودة في بعض الغرف المختارة. يمكنك الاستمتاع بالأجواء المريحة التي تقدمها حديقة طوال النهار. 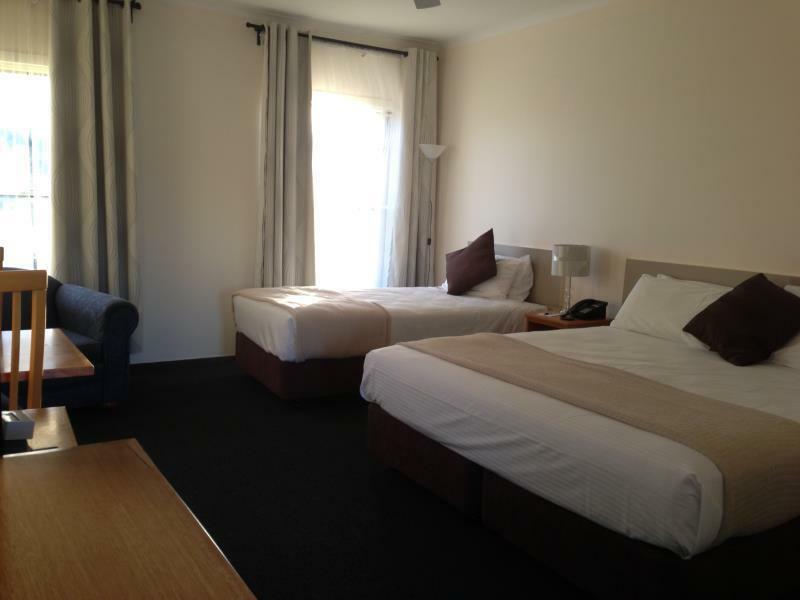 استمتع بخدمات لا يعلى عليها وعنوان ذو اعتبار في Footscray Motor Inn . Clean and comfortable rooms. Very quiet the night I stayed. Grounds are a bit tired looking. Friendly staff. We smelt cigarette smoke a number of timed in our room at night which appeared to be coming from outside at the back of the property. Very friendly staff Clean rooms Not sure about the fella standing near the stair in a towel at 10 pm though. I think it was a guest. Booked here for 3 days and was allocated a street facing upstairs room. 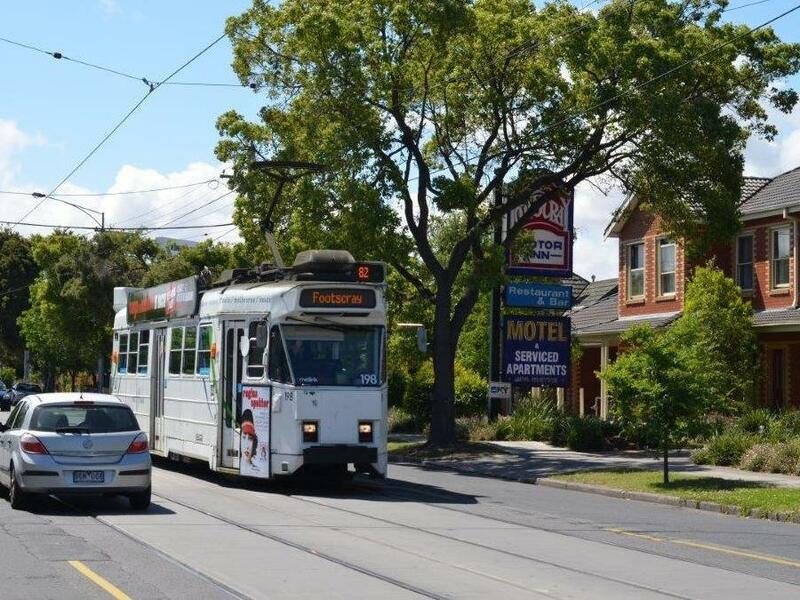 Staff were friendly when interacting with them but unfortunately the room is just s few metres from the street which is also a tram route that is operational from very early morning to 1am. As trams pass by the vibration and sound can be felt in the room so not much sleep was to be had. Ensure you request a room to the back of the property. I left after one night. Good one in footscray melbourne. Had 1 night in Melbourne before an early flight. Fairly close to the airport and they have 24 hour reception. We were also able to do laundry, which we needed. 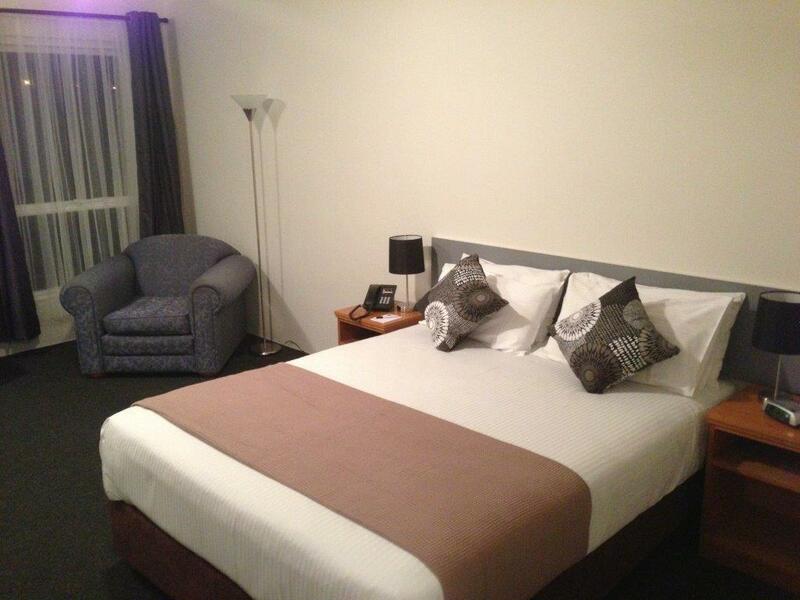 Seemed like they have done up the rooms fairly recently, bed was comfortable. 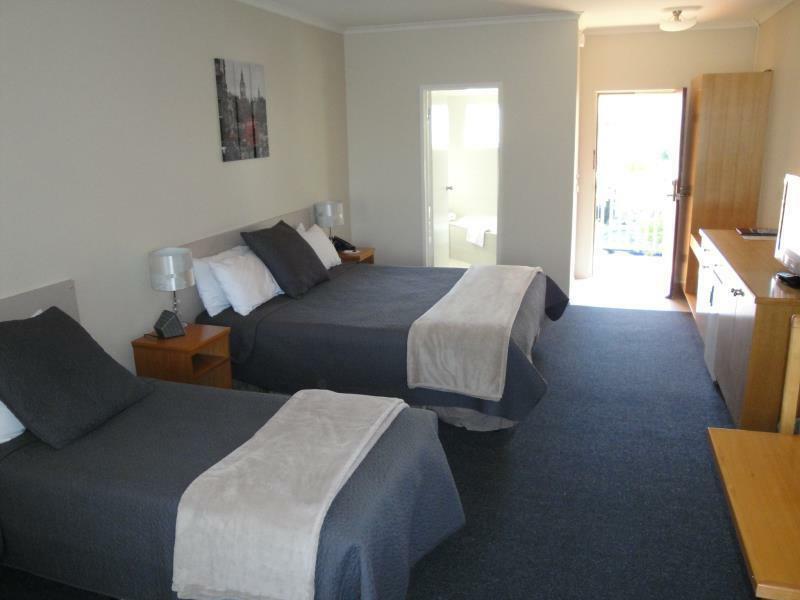 A good place to stay in the inner west. Good value for money but only if you are prepared to put up with broken fittings/furnishings. Needs some love and attention but the basics work. Its ashame to be charged a fee for room service delivery within the motor inn from the restaurant this was my only downfall, other than that everything else was fine. A great hotel to stay at.. close to many shops and public transport. Upgraded us to a much bigger room(spa Suite) for a very small fee and this room was fantastic and very spacious for us all as we are a Nanna and Grandpa having access to our gorgeous grandchildren as we live in the country. We would recommend this hotel to all. It is a great position for closeness to Footscray markets and excellent restsurants. The night receptionist still need intensive training when dealing customers. Asking me whether I have broken anything in the room when I check out is just preposterous. If he wants to know the truth he should check the place when I am checking out late nights. The wifi connection was really bad, it says it is connected but does not open the webpage. When I manage to get it worked, after some time it says my password expired. The wifi is for 24 hrs but it does not work for the whole day. When contacted reception last Saturday around 8pm he said once you use your megabyte, I have to buy another password. When initially buying the wifi I was told it’s for the whole day and the night reception person to tell me rudely that I have used up my time n asking me to buy another password is not acceptable even tho he reluctantly gave me another one. Frustrated and disappointed on this aspect. Couldn't get into my room until 2.30 because the staff were having a break. after being told they would only take 10 or 15 minutes, 30 minutes later it wss done. Hotel was ok but the $200 deposit for tje mini bar was too much for my daughter and her boyfriend. Wouldnt allow her to ring through to me and use my credit card. Not happy it wasnt told to us up front when I booked. Would not recommend to other travellers due to the rudeness of the staff person.